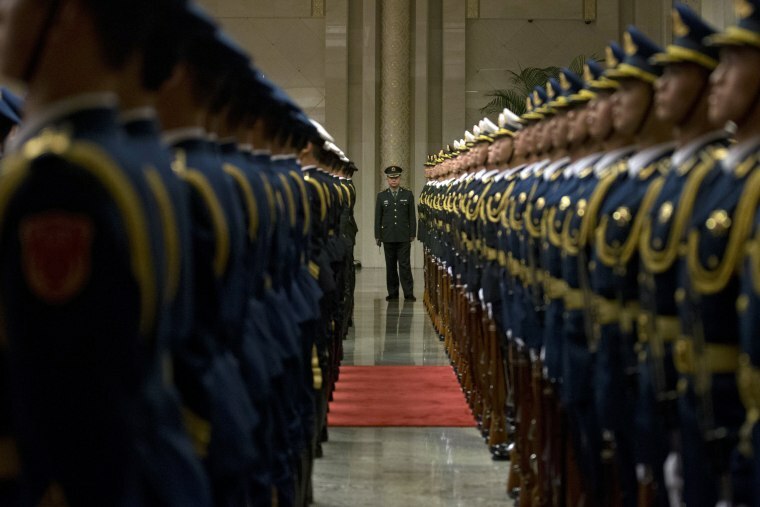 Members of a Chinese honor guard prepare for a welcome ceremony for Russian Prime Minister Dmitry Medvedev held at the Great Hall of the People in Beijing on Thursday. A migrant or refugee enters the trailer of a truck after having cut the tarpaulin roof outside the Eurotunnel in Calais, France on Thursday. 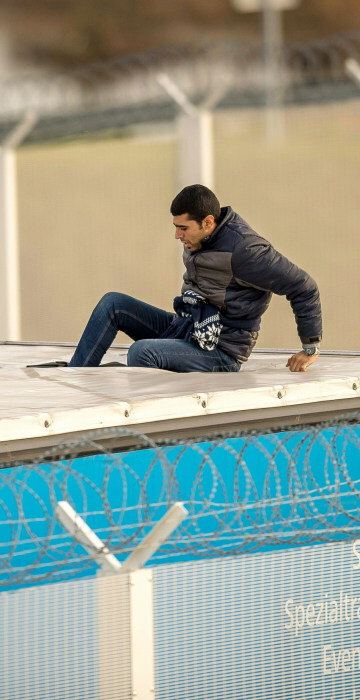 A growing number of migrants seeking to reach Britain are trying to leave from the Belgian port of Zeebrugge, prosecutors and police said on December 16, with people finding it increasingly hard to make the dangerous crossing from France's Calais. Refugees and migrants on a dinghy approach the Greek island of Lesbos on Thursday. According to the International Organization for Migration, more than 920,000 people have entered the EU so far this year. 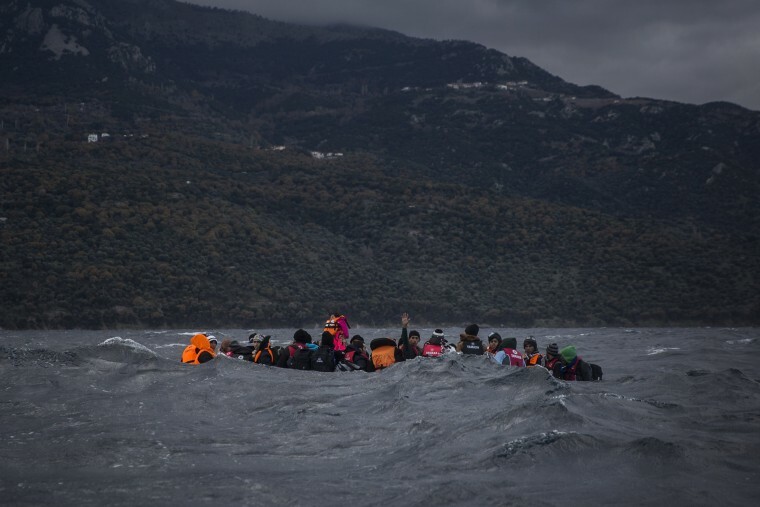 The influx has overwhelmed national border guards and reception capacities, notably in Greece, where some 770,000 migrants have arrived, most of them from Turkey. 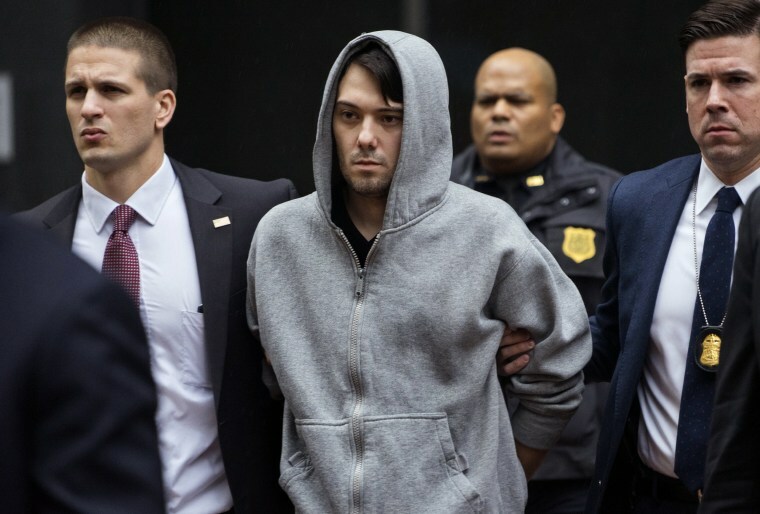 Martin Shkreli, the former hedge fund manager under fire for buying a pharmaceutical company and ratcheting up the price of a life-saving drug, is escorted by law enforcement agents in New York on Thursday, after being taken into custody following a securities probe. A seven-count indictment unsealed in Brooklyn federal court Thursday charged Shkreli with conspiracy to commit securities fraud, conspiracy to commit wire fraud and securities fraud. The spotlit ancient Parthenon temple on the Acropolis appears behind strings of Christmas lights in central Athens on Thursday. 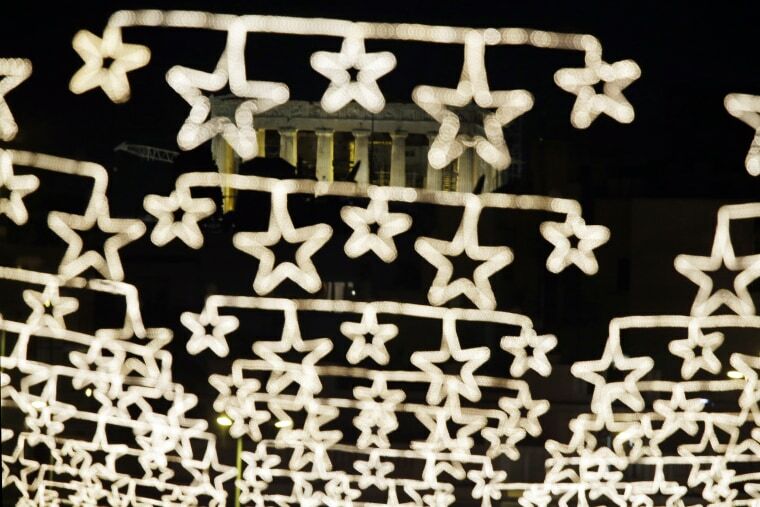 Greeks are set to celebrate their sixth Christmas of austerity, as the country braces for more cutbacks demanded by international creditors in return for Greece's third bailout deal, signed in the summer. 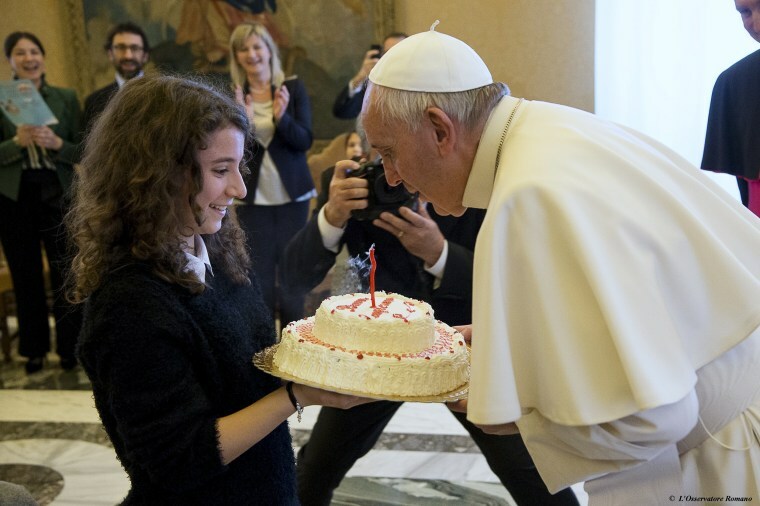 Pope Francis, whose 79th birthday is today, blows out a candle on a cake during a special audience with members of Italian Catholic Action movement at the Vatican, on Thursday. 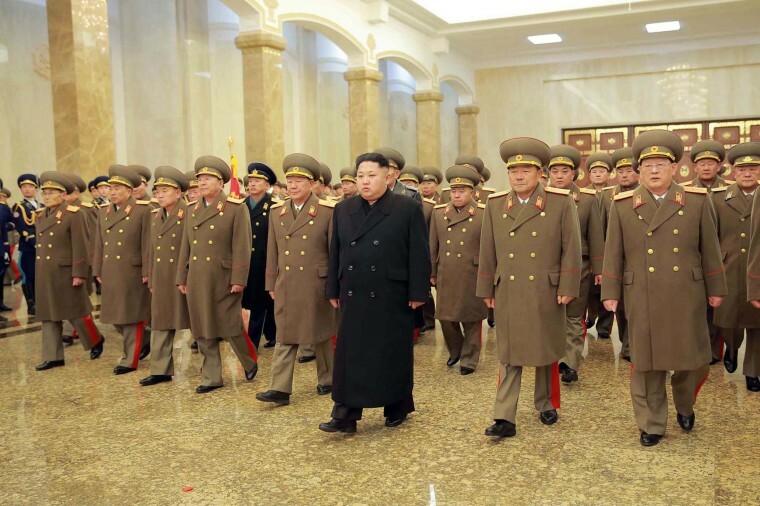 North Korean leader Kim Jong-Un is accompanied by commanding officers of the Korean People's Army visiting the Kumsusan Palace where his father Kim Jong-Il lies in state in Pyongyang on the memorial day of Kim Jong-Il in an image released on by North Korea's official Korean Central News Agency on Thursday. 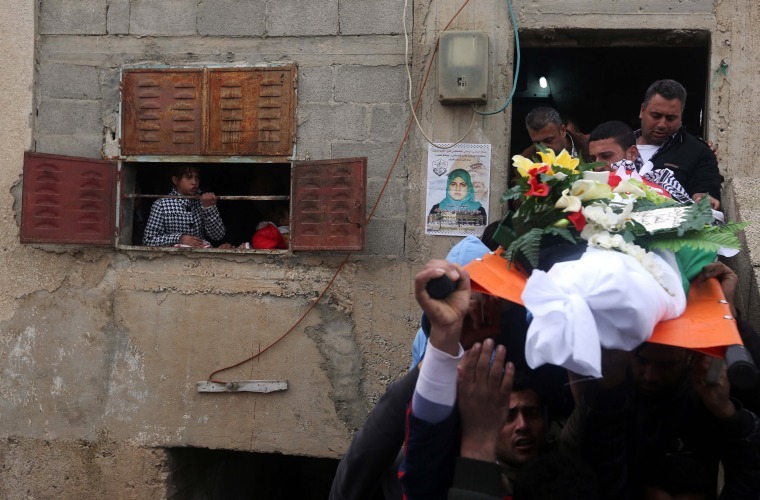 Mourners carry the body of Palestinian woman Samah Abdullah during her funeral in the village of Ammuriya on Thursday. Abdullah was wounded after she was shot by Israeli security forces about three weeks ago at the Hawara checkpoint in the northern West Bank and died Wednesday from her injuries. 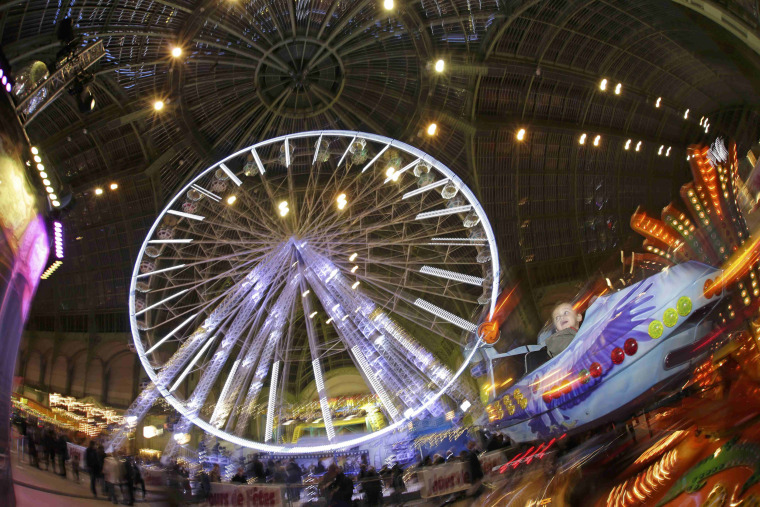 People enjoy rides at the funfair "Jours de Fetes" inside the Grand Palais in Paris as part of holiday activities in the French capital on Dec. 17. 2015. 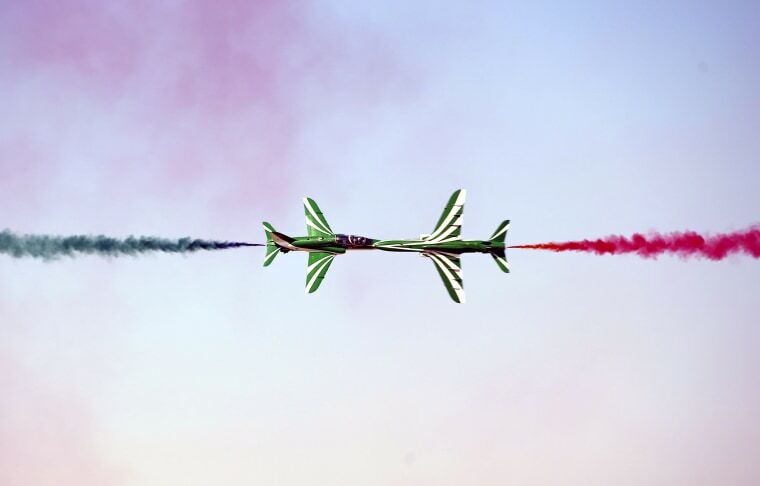 Members of Royal Saudi Hawks Air Force Aerobatic team perform with Hawk planes during the Al-Ain Air Championship at Al-Ain airport, United Arab Emirates on Thursday. The event runs from December 17 to 19.